According to a latest study, overweight men are more likely to develop irregular heartbeat at 50 years of age, which is nearly a decade earlier than women. Obesity is a disorder involving excessive body fat accumulation. Obesity is linked to increasing the risk of several health problems. According to a latest study, overweight men are more likely to develop irregular heartbeat at 50 years of age, which is nearly a decade earlier than women. Men were diagnosed with atrial fibrillation - a condition in which the upper chambers of the heart, or atria, quiver instead of beat to move blood effectively - at 50 years of age, while women developed the condition at 60 or at older age.Scientists revealed that the increase in rate could be attributed to a higher body mass index (BMI) in men (31 per cent) compared to women (18 per cent). The team examined records of 79,793 people (aged 24 to 97) who were followed for a period of 12.6 to a maximum of 28.2 years. "We advise weight reduction for both men and women," said Christina Magnussen, medical specialist at the University Heart Center in Hamburg, Germany. 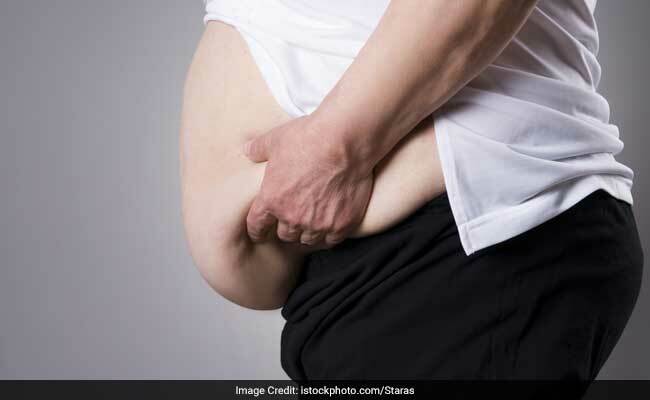 "As elevated body mass index seems to be more detrimental for men, weight control seems to be essential, particularly in overweight and obese men," Magnussen added. The study published in the journal Circulation also suggested that higher blood levels of C-reactive protein (inflammation marker) could also play a role in increasing the risk specifically in men.All these factors combined, were found to increase the risk of stroke by five times as well as more than tripled a person's risk of dying due to heart ailments. "It's crucial to better understand modifiable risk factors of atrial fibrillation," Magnussen said. "If prevention strategies succeed in targeting these risk factors, we expect a noticeable decline in new-onset atrial fibrillation," he added. Obesity has become one of the most prevalent health concerns in the recent times. Common causes of obesity include, genetics, overeating and certain psychological factors. The good news however is, that in most cases you can regulate your weight and treat the condition. Here are some pointers by consultant nutritionist Dr. Rupali Dutta which may help you get started. 1.Load up on whole grains over processed grains . Whole grain provide energy to sustain and grow and are also a major source of all essential nutrients. Whole grains like Bajra, Ragi, Maize and Jowar, are some of the nutritional picks. Try red and black and brown rice instead of white rice . 2. Buy whole dals in addition to the staple washed dals. Fill up your shelves with Rajma, Chana, Soy, Add these as sprouts or cook them for your meal at least once every two days. When buying meat, choose the lean, low fat cuts. Add a protein in every major meal. Proteins are essential for the body. 4. Try keeping the trans fats at bay.Fast foods, snack food, fried foods cookies, margarine and spreads) could be loaded with industrial trans fats, which are excessively fattening.